NASHVILLE, Tenn. – Bryan College’s Wade Weinburger and Trevecca University’s Drew Pierce were named the Baseball Player and Pitcher of the Week, respectively, by the Tennessee Sports Writers Association on Tuesday for their performances for games April 16-22. Weinburger batted .600 (9-for-15) with three home runs, 10 RBIs and eight runs scored in four games for the Lions, who scored 60 runs in four contests. The Eleuthera, Bahamas, native posted two hits with one RBI and two runs scored in a midweek victory against Martin Methodist. The sophomore outfielder registered two hits with a home run, four RBIs and two runs scored in the first game of the series versus Montreat College. He tripled, homered and scored three times, driving in three runs in the second contest against the Cavaliers and collected two hits with another home run, two RBIs and two runs scored in the series finale. Weinburger is batting .335 with 18 home runs, 61 RBIs and 66 runs scored in 46 games this season. Pierce tossed seven shutout innings against Cedarville University, giving up three hits with one walk and eight strikeouts in a 1-0 TNU victory. The Kingsport, Tenn., native retired nine of the final 10 batters before exiting the contest and faced just four batters over the minimum. The righthander worked around an error in the second, induced an inning-ending doubleplay in the third and a triple and a walk in the fourth. Pierce picked up his first win in the contest and has 72 strikeouts in 64.2 innings of work over 11 appearances. 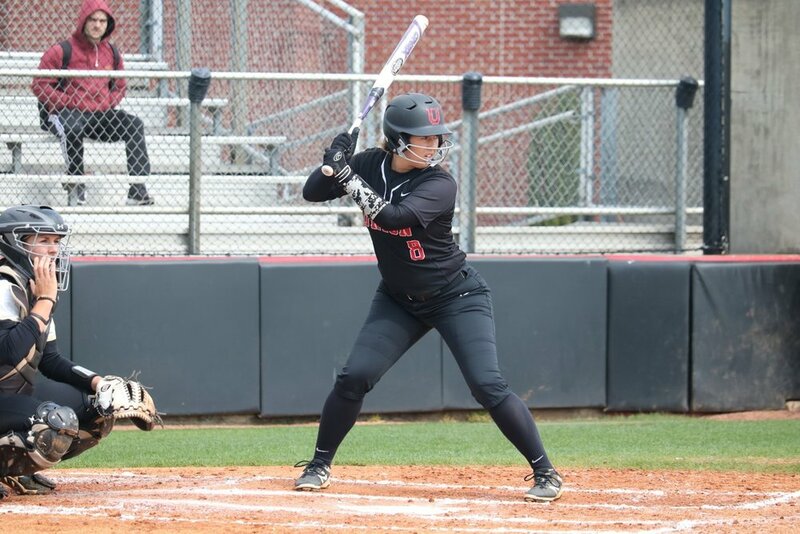 NASHVILLE, Tenn. – Union University’s Haley Barnette and Middle Tennessee’s Cori Jennings were named the Softball Player and Pitcher of the Week, respectively, by the Tennessee Sports Writers Association on Tuesday for their performances for games April 16-22. Barnette batted .562 (9-for-16) with one double, two home runs, eight RBIs and three runs scored in five games for the Bulldogs. The Franklin, Tenn., native singled, drove in three runs and scored a run in the first game of a doubleheader at West Alabama and doubled home a run and hit a pair of solo homers in the second contest against the Tigers. The junior infielder posted three hits in the first game of a series versus Alabama-Huntsville, driving in a pair of runs. Barnette singled and walked in the second contest of the series and collected one hit in the final game against the Chargers. She is batting .304 with 11 doubles, four home runs, 28 RBIs and 14 runs scored in 45 games this season. Jennings registered a win and a save in three appearances for the Blue Raiders, giving up just two runs on eight hits in 13.0 innings. The Brush Creek, Tenn., native got the final two outs for a save against Belmont, walking one and striking out one versus the Bruins. The senior tossed a complete game in the first contest of a doubleheader against Florida Atlantic, giving up one run on four hits and one run with five strikeouts. She allowed one run on four hits with three strikeouts in 5.1 innings in the second contest, but the Owls scored three times in the seventh to take the victory and keep Jennings from a second win over FAU. She is now 15-8 with two saves and a 2.23 ERA in 138.0 innings this season, striking out 83 in 28 appearances.